Each technology has marked a milestone in the "data revolution"—changing the way we interact with the digital world. At the core of the fintech revolution is the way institutions are using data to make better decisions, enable client understanding and forecast trends at different scales in space and time. In parallel with the data and fintech revolutions are ongoing efforts at national, regional and global levels to reach the Sustainable Development Goals (SDGs). Could these technologies, associated with concepts like observation, information, context and trust, be the tools we need to build a more sustainable and equitable world? At the core of fintech are four technology families: the Internet of Things, Big Data, artificial intelligence and blockchain. The SDGs represent the most important and challenging problems of the 21st century—problems so complex that they require a clear understanding of people and their environment over large areas to solve. A more sustainable world may be possible if fintech developments could be adapted to support social and environmental priorities alongside economic capital. The jargon and hype around fintech can at times seem impenetrable. We wanted to highlight some key concepts and how they may directly benefit sustainable development. Four technology families are at the core of fintech: the IoT, big data, AI and blockchain. We see them as key pieces of a digital information pathway. Each respectively represents data acquisition, storage and curation, trust and accountability, and insight and analysis. The Jefferson Project at Lake George in New York State has used IoT and AI to predict and protect the future of the lake and make better policy decisions. Both wireless and wired, serious and frivolous, the IoT is the thousands of Internet-capable devices that can actively transmit our thoughts, photos and locations or passively monitor countless human and environmental parameters in wide networks. Developments in Wi-Fi, cellular and satellite Internet connectivity allow for remote sensing of human and natural systems. The IoT is rapidly becoming a major source of big data, especially when users are voluntarily contributing information or providing data that helps them and others make better decisions. While apps like Waze (traffic), Google Maps (amenities), and Yelp (restaurants) are examples of how the IoT maps the human environment, we have begun to see others like CoCoRaHS (precipitation), OpenStreetMap (physical environment) and Missing Maps (humanitarian mapping) begin to fulfill roles outside of commercial interests. Beyond smartphones, the IoT includes automated weather and climate sensors and devices that measure ocean temperature, track sensitive species and provide early warning for disasters. The torrent of data that flows from the IoT results in large digital datasets. This is big data. Big data is essentially any dataset that is sufficiently complex to handle, requiring extra expertise beyond traditional analysis. An infographic developed by IBM breaks it into dimensions: big data is a dataset with high volume (size and storage), high variety (many types of data), fast velocity (frequency of collection) or variable veracity (confidence). Sometimes a fifth dimension, value (specific use and application), is used, which is especially relevant for personal, private or sensitive data like healthcare records or traditional ecological knowledge. For datasets to be defined as 'big data', they need to be big on volume, variety, veracity, and velocity. This model emphasizes that size is no longer the only difficulty of Big Data and that some of the value of these datasets may be derived from how complex they are. As technology has progressed, the volume of a dataset has become more manageable with low-cost cloud storage and CPU and GPU speed increases, though highly variable datasets can be analyzed on shorter time frames. In the world of water science and management, for example, we have begun to see successful projects incorporating fintech from local and global organizations. Use, however, requires the difficult work of organization, standardization and curation so that the data can be quickly and cheaply used. In environmental contexts, this means opening the data on a public server with permissive license terms. Even organized big data may be too complex for conventional statistics. Fortunately, one new technology may help us turn big datasets into action: artificial intelligence. Derived from computing and statistics, AI uses machine learning from big data to "learn" how to accomplish tasks, whether recognizing patterns, producing human-like chatbots or driving vehicles. In simpler forms, it has been used for years to detect credit card fraud or recognize faces in social media posts. AI excels at recognizing context where simple threshold-based algorithms failed. The statistical heft behind AI can be appropriate. Adding human-like pattern finding in images, chat logs and complex datasets may help experts manage the flood of data. Artificial intelligence can be used to make predictions and projections on everything from the impact of climate change on a lake to the rate at which a population will expand. These three technologies take us along a chain from the collection of data right through to its analysis. But how do we trust this data and make sure bad actors aren’t compromising data streams while ensuring fairness and equality? Put simply, blockchain allows for a single piece of digital data to be tracked from its source with an encrypted stream of information that can only be decoded by a distributed peer-to-peer network. Blockchain makes data more trustworthy, to both data providers and users, allowing each to be certain of its provenance and integrity. Blockchain could help us track a fish from a lake to a grocery store, using a network of users to encrypt and secure that information. So how does all this relate to the SDGs and how can fintech help us achieve the goals? Singular advances have propelled technology, but—like the Internet—the confluence of many related technologies can dramatically change how we think about the world. The fintech gearbox, an idea first posed in a 2016 report published by UN Environment, could form functional information technology advances to benefit global and local sustainable development. The fintech gearbox highlights the connectivity of these technologies to reach all aspects of environmental management and policy. Stockholm is implementing an IoT network to monitor water quality in real time and inform citizens of unsafe drinking water and target sources of pollution. However, many organizations are still struggling with 20th-century information technology problems such as organizing data collection and curation, developing standards and practices, and visualizing the state of the environment. Leveraging the wisdom of financial industry leaders can help us improve the collection, interpretation and accuracy of data collection—all of which are essential to turning information into knowledge—and then turning that knowledge into sound and robust decisions. Where is this already happening? Fortunately, some innovative organizations have already jumped into these challenges to promote sustainable policies and better understanding of the natural and human environments. In the world of water science and management, for example, we have begun to see successful projects from local and global organizations. 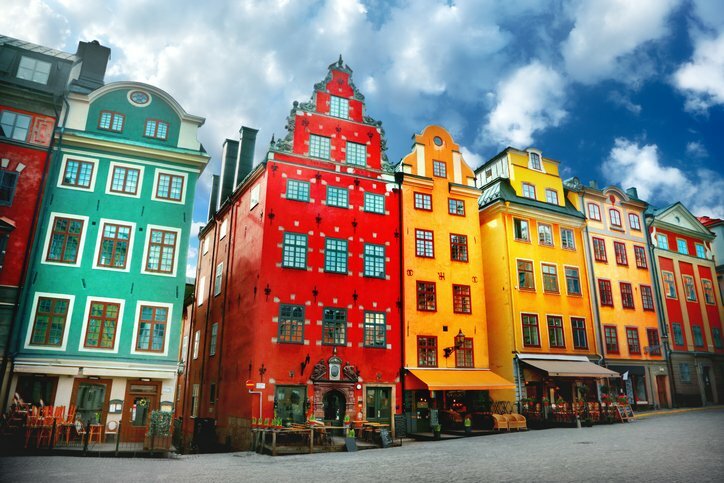 The City of Stockholm is implementing an IoT monitoring network in their water system from source to sewer. This technology will monitor water quality in real time and will be used to inform citizens of unsafe drinking water and target sources of pollution. Earth observations from satellites represent some of the first and largest big datasets: many sensors capture images of the Earth every day in many wavelengths of light. This tremendous data resource was unmanageable beyond the local scale until ambitious products like the European Space Agency’s Copernicus web platform were developed to bring the analysis and insight from public satellites to the public. A simple web interface allows users to query datasets in space and time and examine high-level, decision-ready products tracking forest fires, pollution plumes and algal blooms. 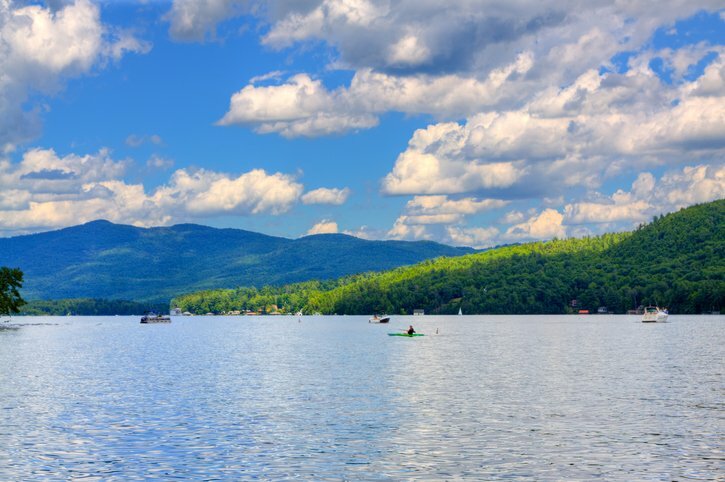 The Jefferson Project at Lake George in New York State has used IoT and AI to create a computing platform that captures and analyzes data from sensors tracking water quality and movement. They then use that data to predict and protect the future of the lake and make better policy decisions. Blockchain has rapidly developed from an obscure crypto-currency-enabling technology to one with serious and real applications to improve trust and reduce the impact of bad actors. A program by the World Wildlife Fund in Australia, Fiji and New Zealand is using blockchain to track fish from ocean to plate and ensure the integrity of sustainable supply chains. Though some groups have been successful at using fintech for sustainable purposes, the hill is still steep. A recent study by the Royal Society (UK) noted that the biggest challenge to adoption of machine learning—a subset of AI—is unsuitable and poorly-managed data environments across the public sector. Our forthcoming work will begin assessing the data environment of environmental data, and how we in the environmental sectors can prepare to participate in the fintech revolution.